Learn how to make a beautiful rug (30" x 44") from a jelly roll in this two-part class. 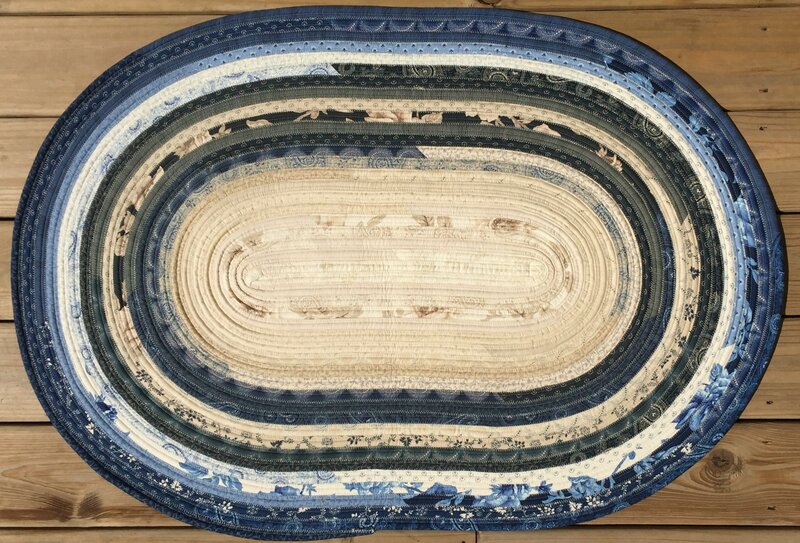 Rug is made entirely on your machine using one jelly roll and 2.5" batting strips. You will need the pattern, your favorite jelly roll and 2.5" strips of batting (we sell pre-cut batting strips too! ).